Sony has revealed new functions and big-name games to reignite interest in its handheld PlayStation (PS) Vita console. 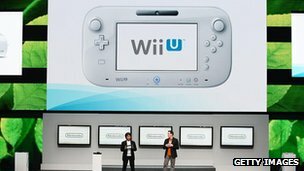 The Japanese firm recently cut its estimate of how many of the devices it expected to sell before March 2013. It can now be used as a controller for the larger PS3 console and players can switch from a Vita to a mobile phone and continue the same game. Users buying some PS3 or Vita games can get free versions for the other device. This Cross Buy scheme will initially be limited to a select number of Sony's own titles, including the latest in its Ratchet and Clank series. The moves were outlined at a news conference at Gamescom, the video games trade show in Cologne, Germany. Sony's handheld is facing competition from smartphones and tablets, which offer a larger range of games, typically at a lower cost. In August the firm revised its sales forecast after posting a 24.6 bn yen ($314m; £202m) loss for the April to June quarter. 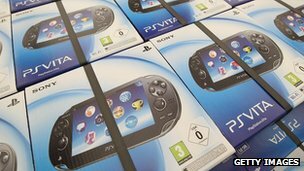 It now expects to sell 12 million portable consoles - the Vita and the ageing PlayStation Portable - over the current financial year, down from its earlier estimate of 16 million units. "If it is reducing its outlook by such a big margin it reflects the fact that Sony internally will not be happy with the sales figures," said Piers Harding-Rolls from IHS Games Digest. "It seems the Vita just wasn't offering consumers enough. "Sony now needs to be proactive to drive adoption going forward, some of which we have seen addressed at Gamescom, and we expect more aggressive moves over bundled handset and software deals, and overall pricing in the future"
Sony has admitted that it "under-represented" the Vita at its E3 trade show presentation in Los Angeles in June, and sought to do things differently at Gamescom. This time the firm dedicated much of its one-hour spot to the handheld. It unveiled first-person shooter Killzone: Mercenary, an extension to a popular franchise, and Tearaway, an adventure game set in a world made of paper, developed by Media Molecule - the team behind the best-selling LittleBigPlanet. In addition Sony spotlighted the previously announced Assassin's Creed and Call of Duty games, which have already proved hugely successful on other formats. News that a forthcoming software update will allow the Vita to act as a PS3 controller may help counter the appeal of Nintendo's Wii U touchscreen Gamepad controller and Microsoft's Smartglass service, which pairs the Xbox with a tablet. PlayStation Mobile - a service offering about 30 bite-sized games to Sony-certified devices - will also mean that users can switch from the Vita to an approved Android smartphone or tablet and continue their progress. Asus, HTC and Wikipad will add some of their devices to the scheme, joining Sony's own Xperia phones. The news provoked a mixed response from one industry watcher. "Sony has done everything it can do bar slashing the price of the machine," Ben Parfitt, online editor for video games trade magazine MCV, told the BBC. "It's a great selection of software and the cross-compatibility of stuff with the PlayStation 3 is fantastic. "But has it done enough? 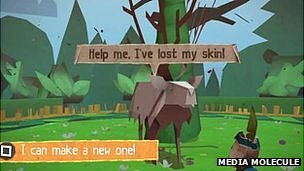 That's a different question and I struggle to see it making major inroads into the market when people are so used to smartphone gaming now."